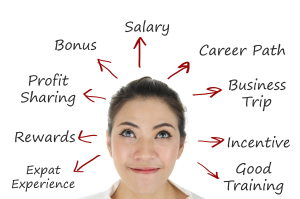 Base salary, bonus, equity based compensation, vacation, medical benefits and the other standard executive compensation issues, while very important, are not what will be discussed here. The answer to this challenge, which progressive companies are providing up front for their executives, is a Professional Development Spending Account (PDSA). The additional cost for such a program is usually negligible, since almost all companies, in theory, budget for training and development costs as a percentage of salaries. 2012 sure has been an interesting year. Working with my clients at Stanton Chase and providing them with excellent service and value in retained executive search. 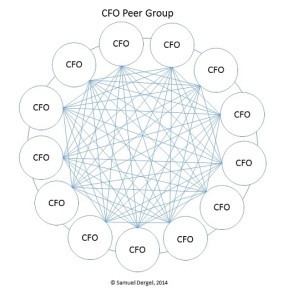 Staying close to CFOs in my network, and continuing to add value to their businesses and careers. Continuing my blogging, both here and at CFO Moves. I find it humbling that I have people that are not only interested in what I have to say, but have signed up to ensure they don’t miss any of it. Working on my book for CFOs. Stay tuned! It is customary as the year turns to a close to look back at the previous year. Blogging is great, but sometimes people can miss out on some very valuable insights or content. So, to make sure you didn’t miss what other people thought was worth reading, I would like to share 12 of my most popular CFO Blogs in 2012. 4) Dear CEO & Board: You can’t afford to hire the wrong CFO. If you like these blogs and want to ensure you don’t miss any of them, please click on the SIGN ME UP! button on the right. Happy Holidays and all the best for an amazing 2013! Ever meet a CFO who wasn’t busy? I didn’t think so. CFOs have lots of demands on their time. Unfortunately, when CFOs do not manage their priorities properly, they can end up with surprises. As someone who has received calls from CFOs in a panic when a key person on their team has left, I can tell you that this happens too often. Ensuring the success of the Finance Team is as important as meeting the demands of the CEO and the Board. Without a Strong Finance Team, the CFO will not be able to meet these demands. I recently spoke with Mary Driscoll from APQC about their recently released results from their survey A New CFO Priority: Talent Development with a Focus on Soft Skills. This report , created in conjunction with EPM Channel, details how proactive CFOs are evolving their talent development programs so that Finance can excel at the strategy table. There is a staggering gap between the potential value that the typical finance organization can deliver to its stakeholders and the value now being delivered. The gap exists because finance is bogged down in transactional work and doesn’t have the time needed to produce meaningful analysis. It is hard to add bandwidth because finance, in general, is not given the tools needed to increase productivity and free people from grunt work. The toughest vacant positions to fill are for financial planning and analysis. Finance people who are considered effective business partners tend to work for CFOs who have a strong commitment to professional training, including crucial soft skills such as persuasive presenting. Are you a CFO that has implemented a talent development plan of your finance team? 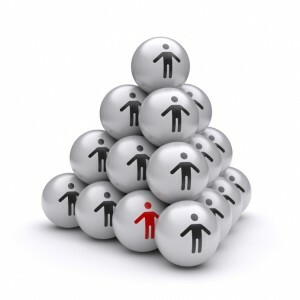 Do you need help with your finance talent attraction, development and retention?